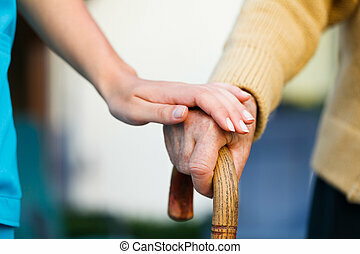 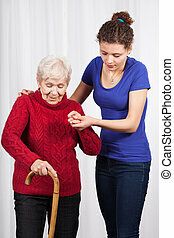 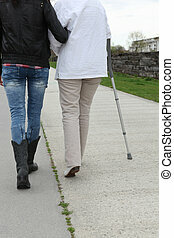 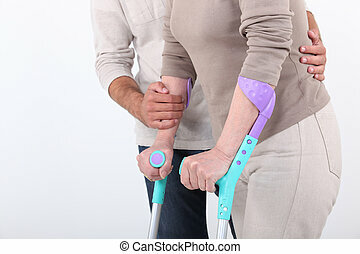 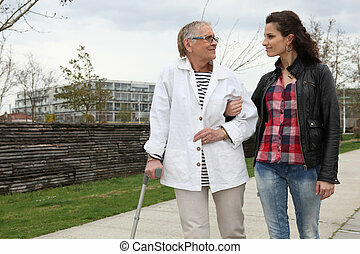 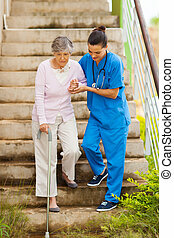 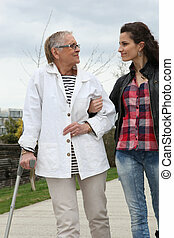 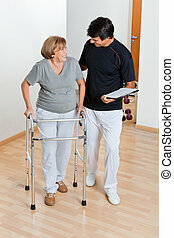 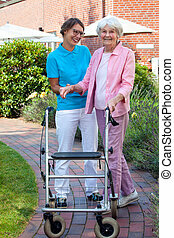 Assistant helping an elderly person walk. 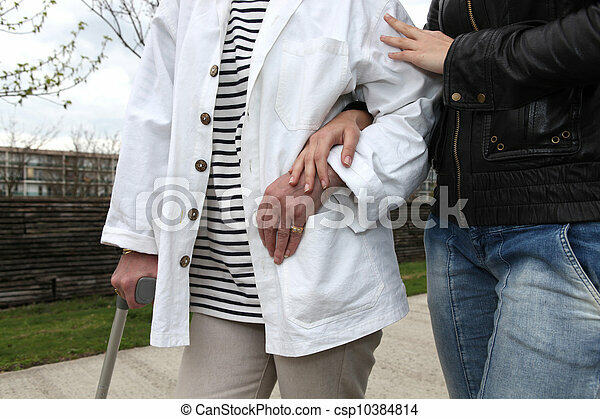 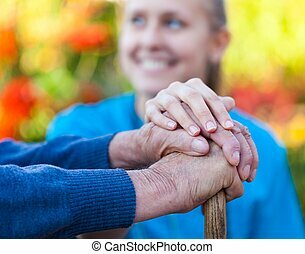 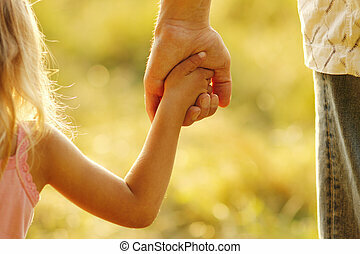 Young female doctor holding his patient hand. 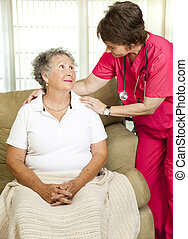 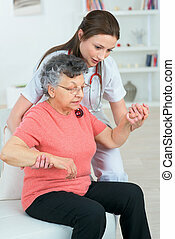 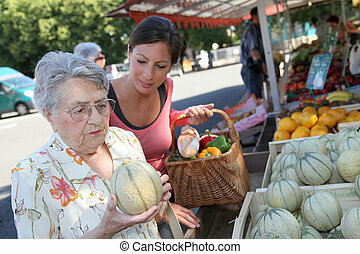 Nurse helps senior woman. 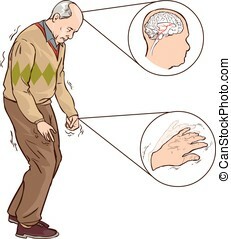 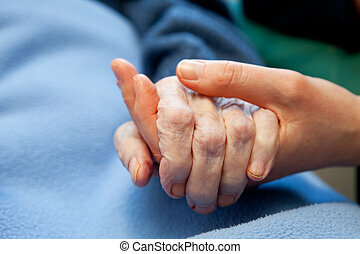 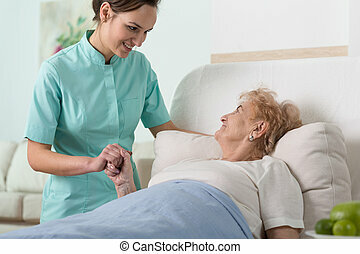 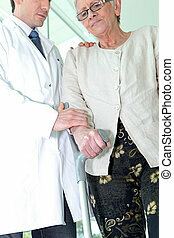 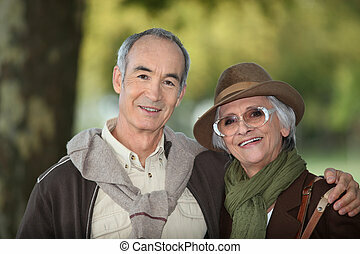 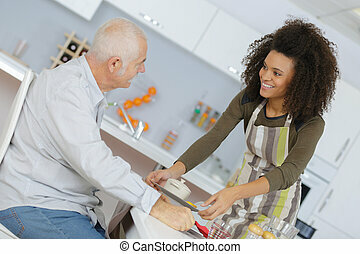 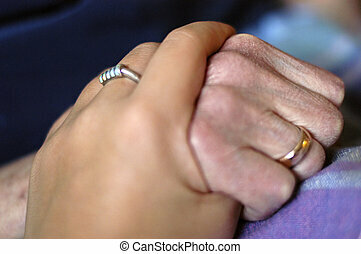 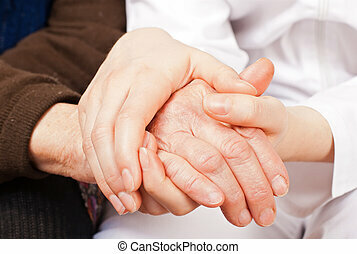 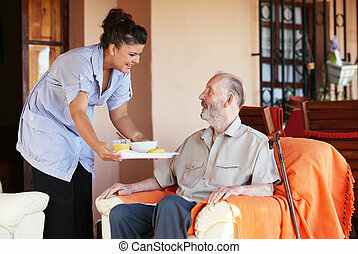 Could either be in-home care or at a nursing home or assisted living facility.